This is a very fast report on the DARC Spring Smelt on June 14. The analog had shown a tendancy to produce a crumbly high carbon bloom, a type which often proves difficult to forge down to a working bar. For that reason is was decided to increase the average particle size. The dried plates were lightly hammered through a 1 inch wire grid, then screened through a 3/16 inch mesh to remove the fines. This resulted in a slightly larger size than the last two tests. Second, it was decided to charge very heavily right from the start. Ore was added at one to one against charcoal (2 kg ore with 2 kg charcoal). The ore number is actually higher than reality. That's because the analog is mixed with water, and the paste was air dried. There will be some content of water still remaining. I have to take a measured sample and put it into the gas forge on a pan to get a 'dry weight' that would relate it back to the roasted rock ores we have been using. On the last test, the analog was also air dried, and after baking the water content removed was about 12%. The bloom feels like nice iron (I've not photographed or spark tested it yet). It is a bit on the crumbly side, more larger blobs hanging together than the nice dense rock blooms you always achieve. Better cohesion than the 'brown sugar' effect you saw at the Smeltfest test of the ore analog. I know its going to be easy to forge this one to bar, the initial consolidation went very smooth, no slitting or fracturing at all. I'm very pleased with the overall results. The smelter came through in almost perfect condition. We were able to predict and modify the sequence to get around the tenancy of the ore analog to absorb too much carbon and not fully sinter together. Neil and Ken worked as an excellent and smoothly functioning team. I have to find my actual notes from the day, process the images and get a field report together. There were three museums I visited that were basically 'old school' styled presentations: objects in cases, extremely limited labels, objects generally grouped by type. The lighting varied, but generally was reduced general illumination, with use of some spot lighting in the cases. Some idea of light levels can be gathered by the quality of the images. (I have some experience with longer 'hand held' exposures, so the clarity and shift in colour will give some indication of the relative amount of light available.) None of the museums I visited had any staff visible inside the collections themselves (admittedly I was there 'off season', but I also spent several hours at each museum). 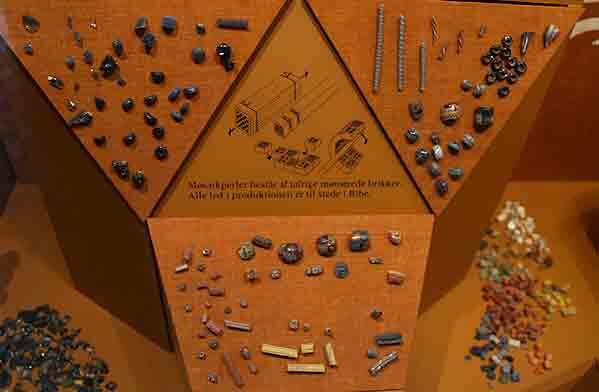 The National Museum in Copenhagen had its 'pre-history' gallery closed. For them anything before 1000 AD is lumped together. 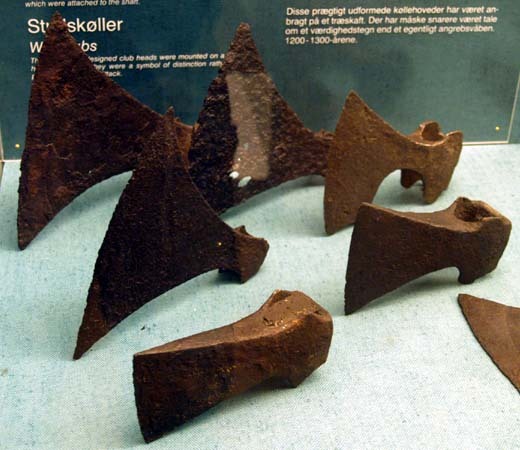 This new presentation includes virtually ALL the Viking Age materials. It was originally scheduled for opening on May 1, but later delayed to May 17. Generally I found all the museum collections I visited had greatly reduced information available to the viewer. 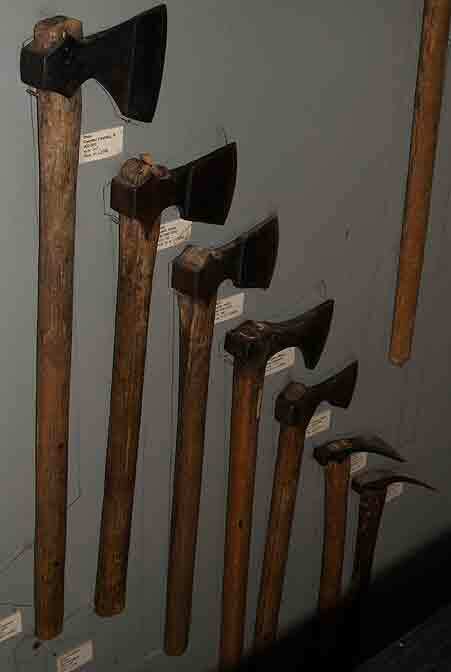 In many cases only the barest description was provided 'bunch of axes' being typical. Sometimes the objects were not even given enough description to provide real understanding, for example 'spindle whirls' does not inform you about just what those pieces are. With no registration numbers, it would prove very difficult for the research minded to gather detailed information. Rarely were objects placed in any kind of working context. The collections were almost all presented in a formal and static style (Victorian Cabinet of Curiosities). 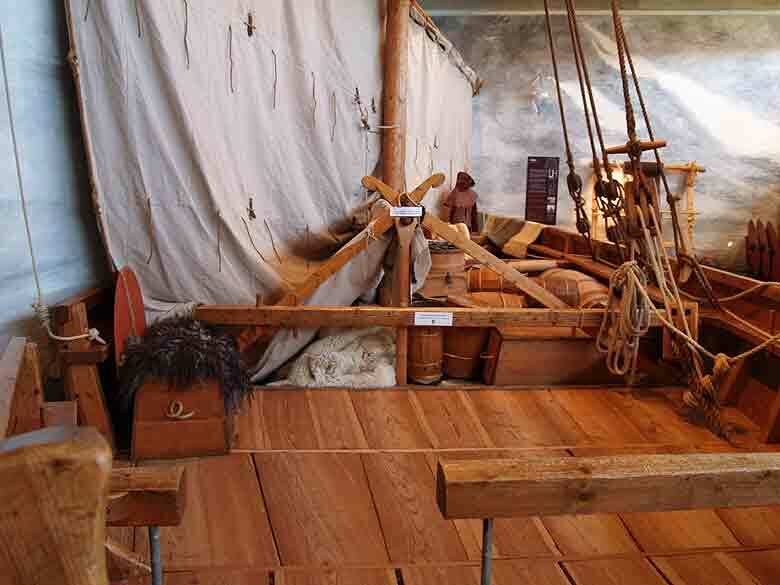 The Viking Ship Museum was the primary exception, but it blurs the line between artifact collection and an experimental archaeology presentation (which in fact are in two distinctive areas of the complex). 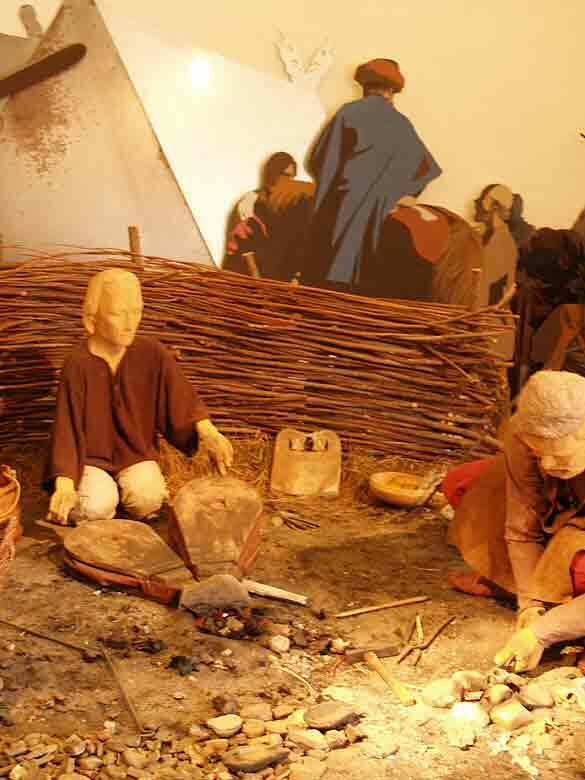 I also spent two afternoons at the Ribe Viking Centre, a living history styled presentation. As this museum was not officially open at the time, and also represents an entirely different type of display style, I will leave a discussion of it for another entry. I realized yesterday that I was way behind on indexing the raw notes from the 2008 smelting series. At this point there have actually been a total of 7 smelts undertaken. 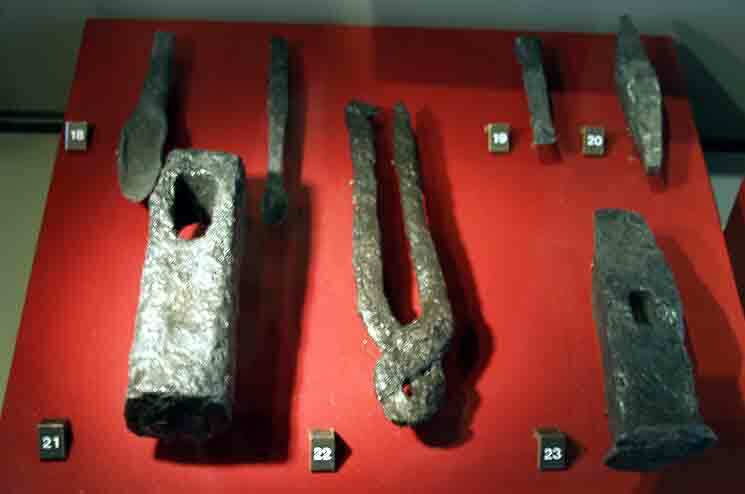 In truth a lot of the materials had been published over on the Wareham Iron Smelting site earlier - but I had not linked any of it to the 'outside'.